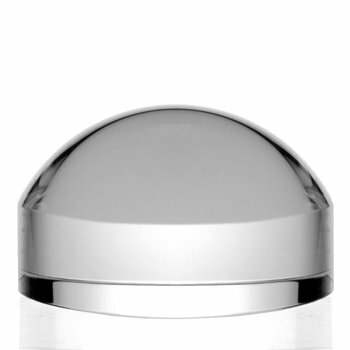 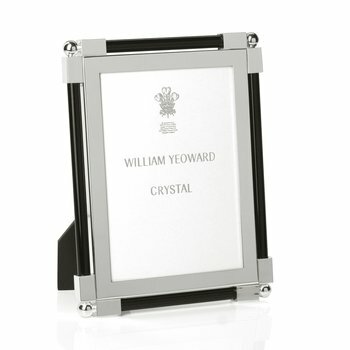 William Yeoward Crystal came into existence in 1995, the result of a remarkable collaboration between Timothy Jenkins and William Yeoward. 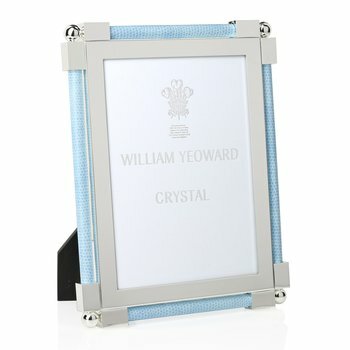 William Yeoward, already a noted designer working in the field of furniture, lighting, fabrics, and interior accessories, with a store on London’s fashionable King’s Road, was an avid collector of antique crystal, but felt that there was little contemporary crystal that was truly beautiful. 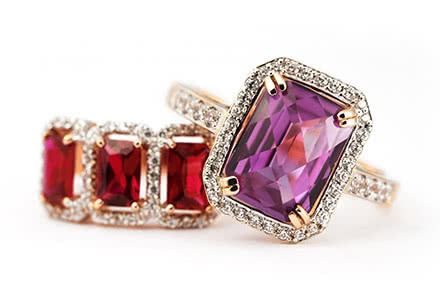 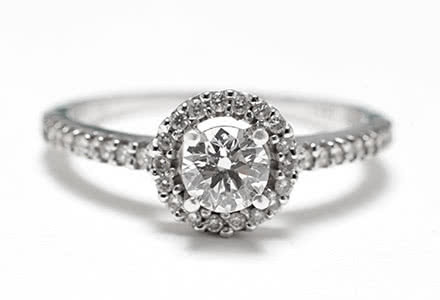 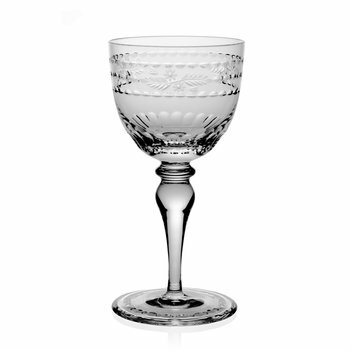 Timothy Jenkins, third generation in the family owned crystal business John Jenkins, founded in 1901, had an intimate knowledge of the European crystal industry and for some years had been making reproductions of antique pieces. 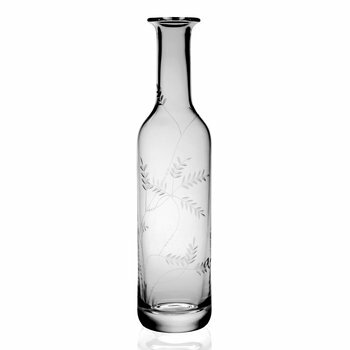 A chance meeting in1993 brought Timothy Jenkins and William Yeoward together and they quickly found that they shared a passion for the beautiful crystal of the 18th and 19th Centuries and both wished that these wonderful pieces could once again be created and preserved for posterity. 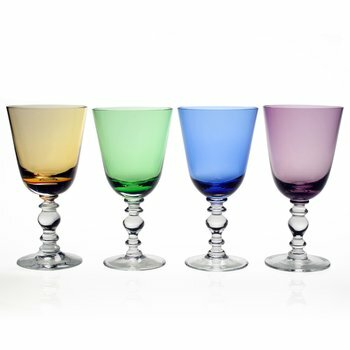 They decided to pool their diverse talents and a collection of some 60 – 70 pieces of tableware and decorative pieces was exhibited at the Decorex Interior Design Fair in London in the Fall of 1995. 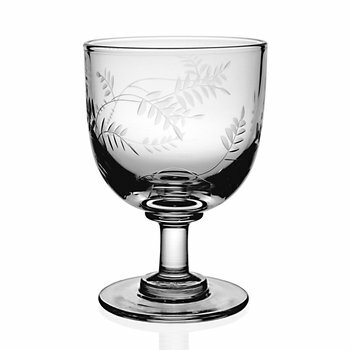 All these pieces had to satisfy Tim and William’s sense of design and their desire that the pieces should be beautiful in themselves, that they should be functional and that they would make elegant and wonderful table settings. 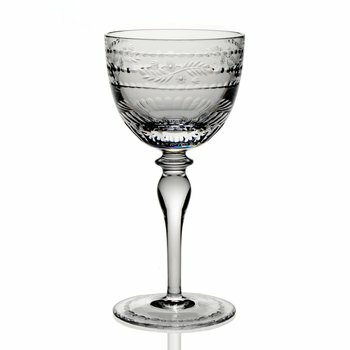 During 2002 Fine English Bone China Tableware, Giftware and Sterling Silver Flatware were added to the Collection to complete the table. 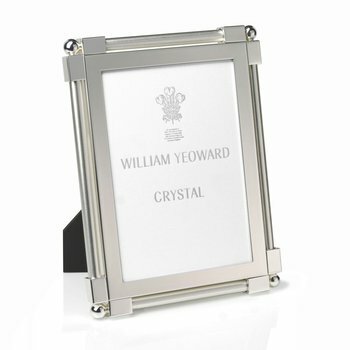 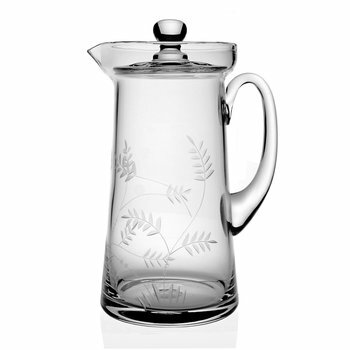 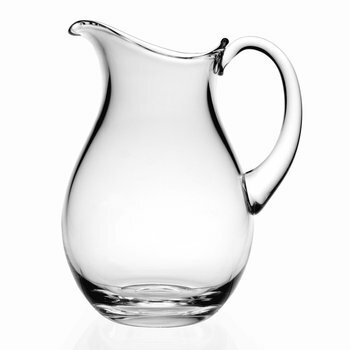 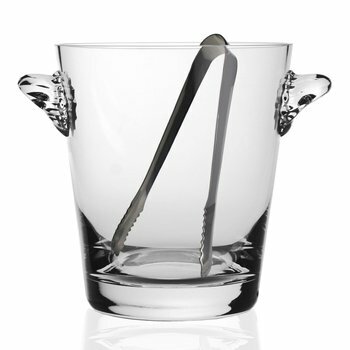 The Collection has received numerous accolades in the press and in September1996 William Yeoward Crystal received from British House and Garden magazine the prestigious Award for Best Merchandise at the London Interior Design Show ‘Decorex’. 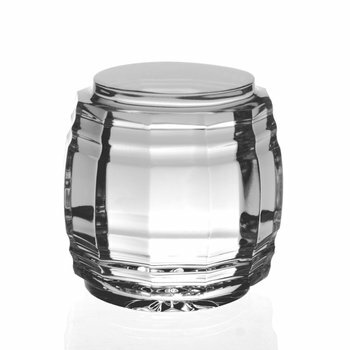 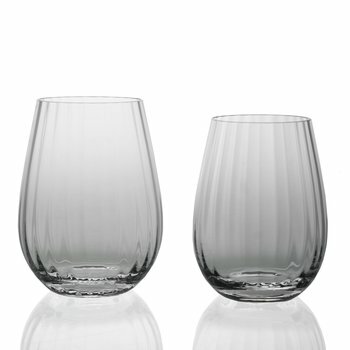 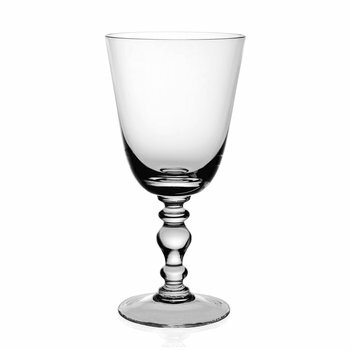 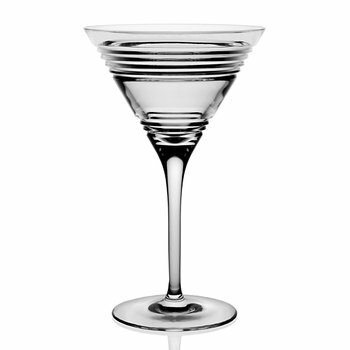 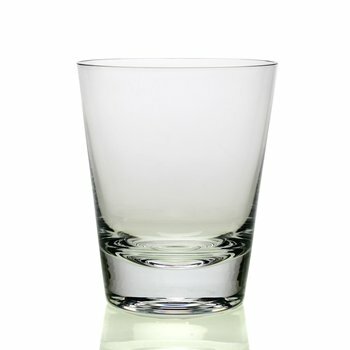 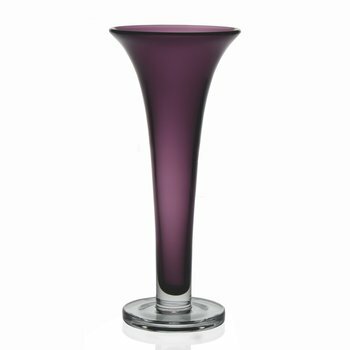 In the Fall of 2002 William Yeoward Crystal received the International Design Award for Tabletop from the US Elle Décor magazine. 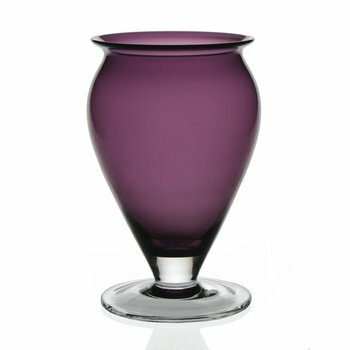 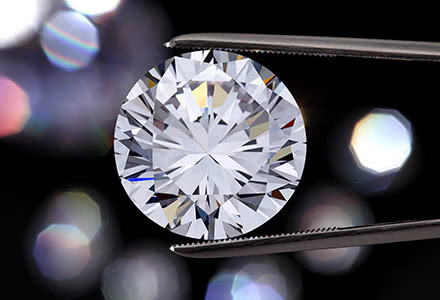 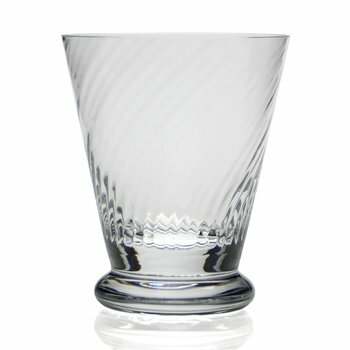 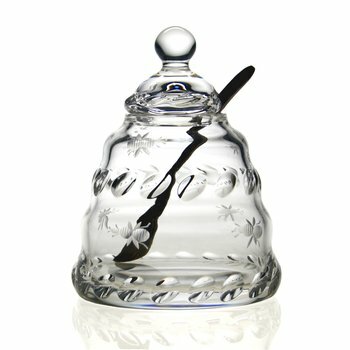 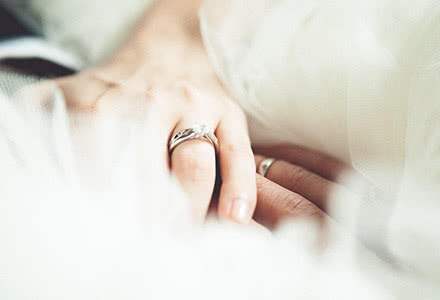 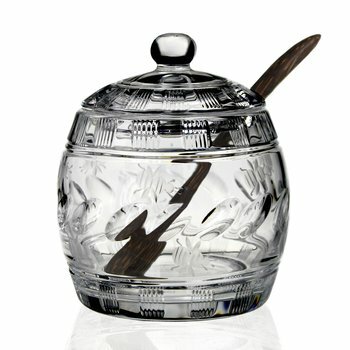 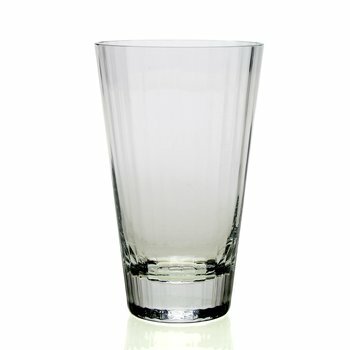 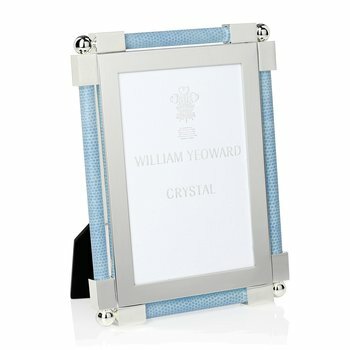 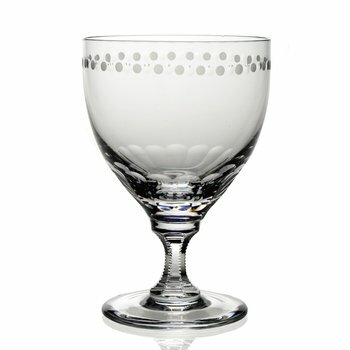 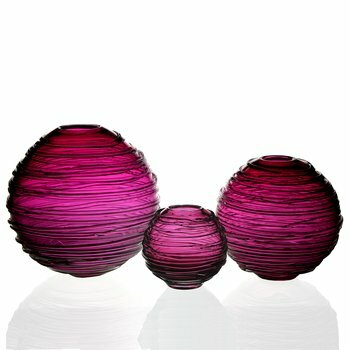 Although the Collection now includes over 1000 pieces of Crystal, Timothy Jenkins and William Yeoward continue to search for really special pieces to add to the Collection but have also included completely original pieces from their own creative imaginations – the living inspiration for William Yeoward Crystal. 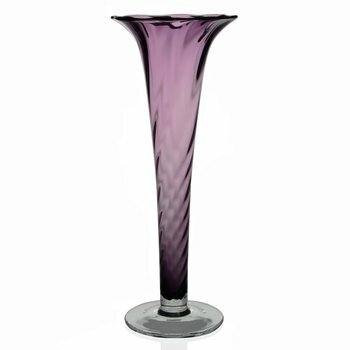 William Yeoward Amethyst Spiral Vase 18"
William Yeoward Amethyst Vase 8½"